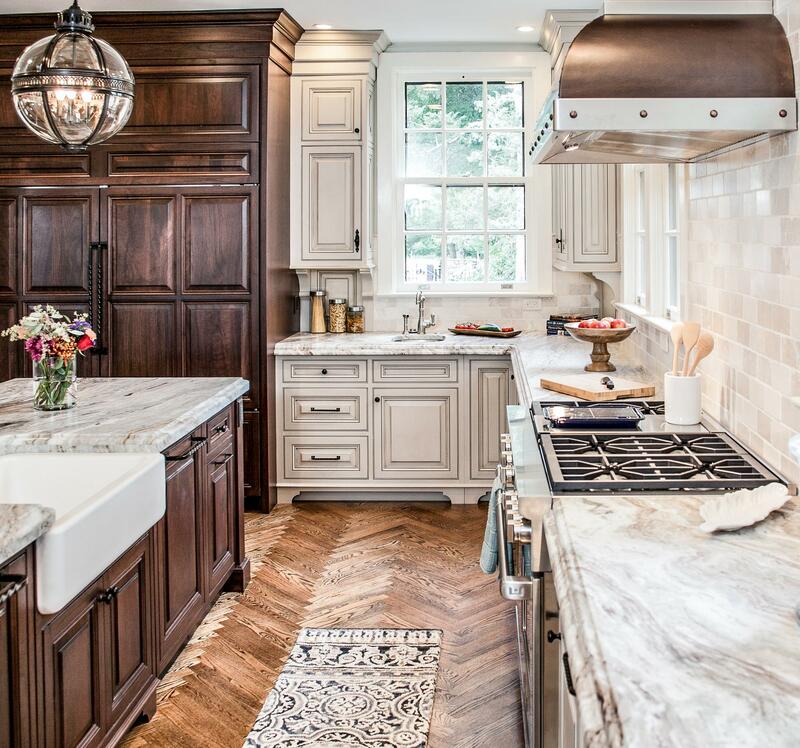 This splendid Tudor had seen many renovations but the kitchen remodel was saved for last. 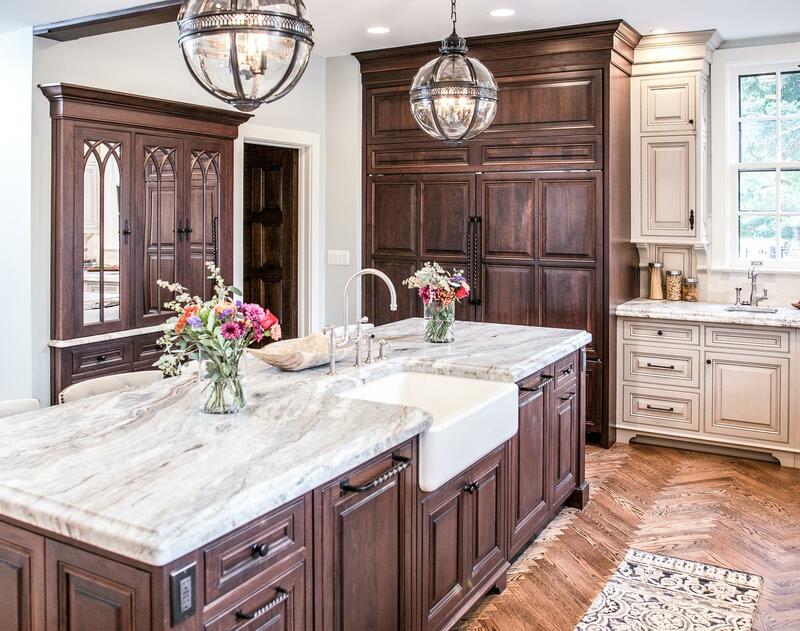 Our client wanted a functional space that reflected the style of the home and would serve as a gathering place for years to come. 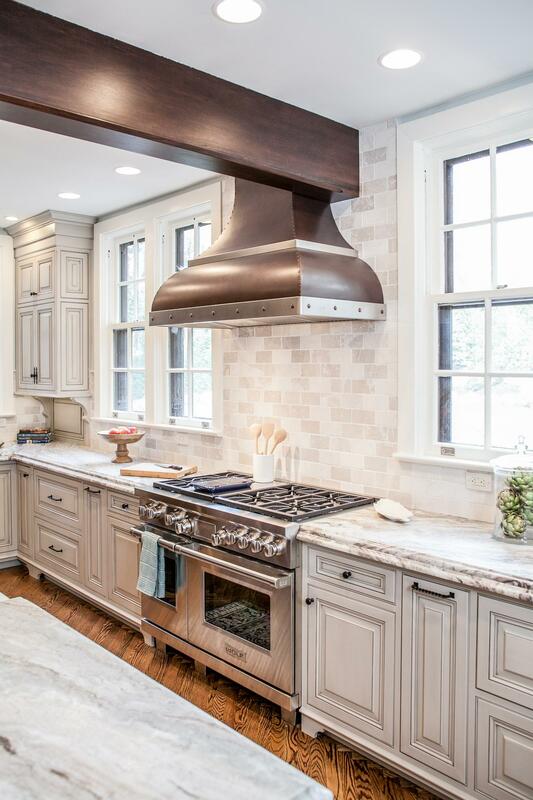 Large, professional-style appliances needed to be incorporated while maintaining the stately, yet warm feel of the home. 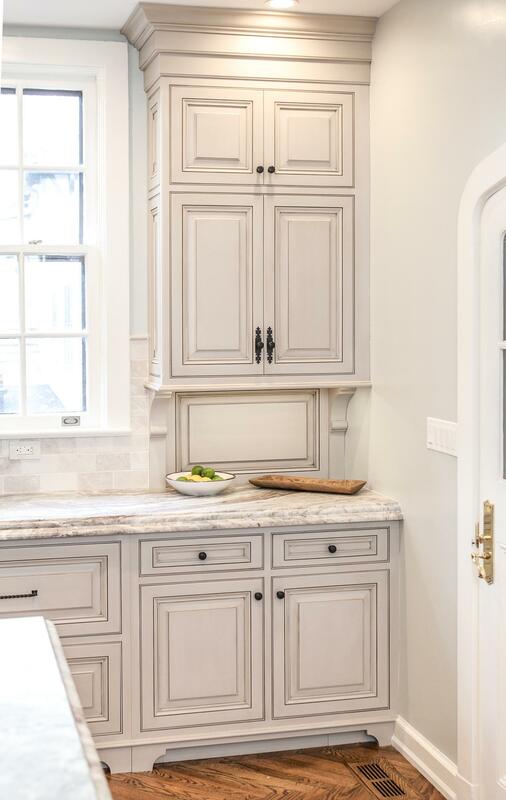 To achieve this, we designed custom wood panels for the appliances to evoke a furniture feel and open shelves at the wet bar for convenience. 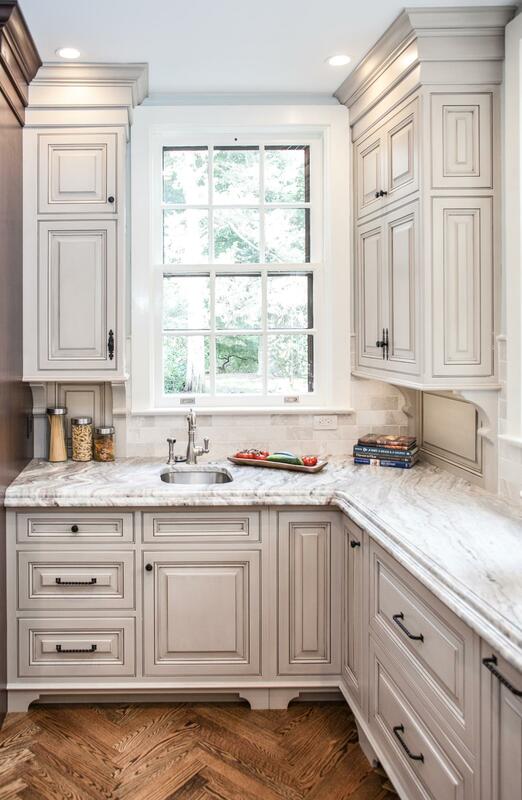 A built-in pantry with antique, mirrored-mullion doors hides small appliances and kitchen items. 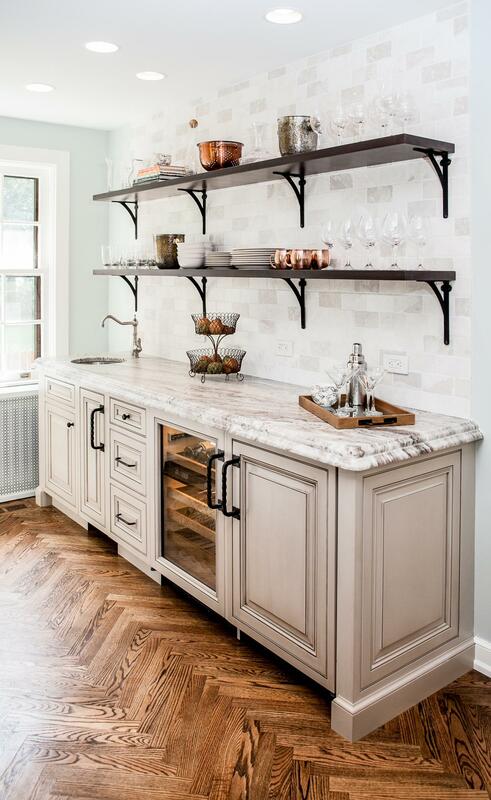 Herringbone wood floors provide a timeless look, while large Barley twist legs on the island, and wrought iron hardware and shelf brackets reinforce the room’s Tudor charm. 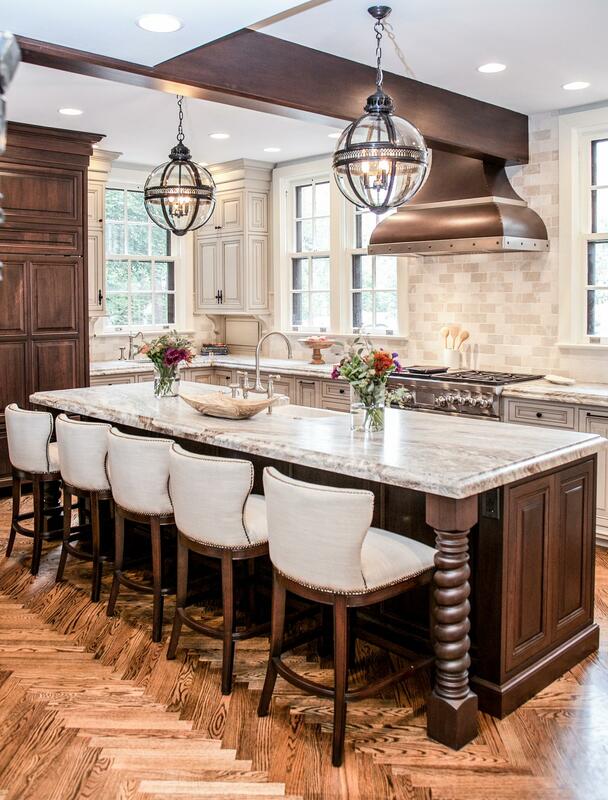 A copper hood was designed as a nod to the Old World and large chandeliers dramatically light the space. "Jill & her design team's artistic ability is unmatched. 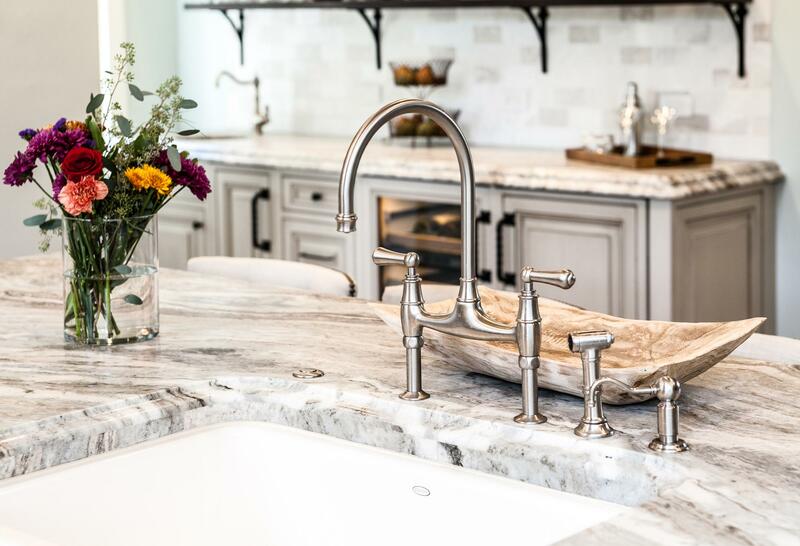 They are clearly the premier kitchen/bath team in the Lehigh Valley...and beyond. I would use no one else."